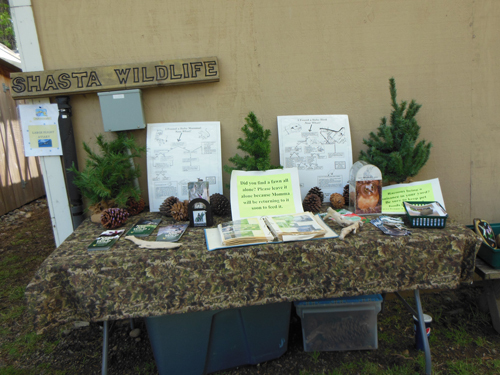 Today I had the honor of manning the booth for Red Tail Publishing at the 13th Annual Run for the Wild and Open House for Shasta Wildlife Rescue. 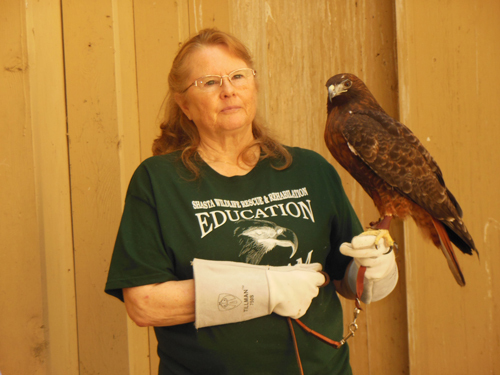 Shasta Wildlife Rescue provides restorative care to wildlife in Northern California. Last year, this dedicated group of volunteers cared for over 1500 wild mammals and birds. 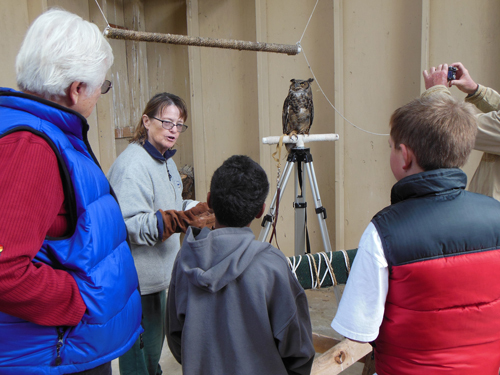 It is their goal to rehabilitate the critter and return it to the wild where it can live out its life. As you can imagine, this takes a lot of time and a lot of funding. Today’s even is their annual fundraiser. A lot of people from the local community turn out for tours of the facility and to view the ambassador animals. Some of the animals rescued are not able to return to the wild, such as a bird that can no longer fly, or a fox that has been so imprinted on humans it cannot survive in the wild. These are wild animals, they are not pets, and because of their life situation, they cannot live in the wild. These animals are cared for by trained people who are licensed by the State Department of Fish and Game to care for the animals for the remainder of the animal’s life. It is a commitment of heart, time and treasure. So for all of you out there seeking a little bliss, consider supporting organizations like Shasta Wildlife Rescue in your area. Even better… volunteer. Your world will be richer for it. Here are some pictures from today. THANK YOU Norma Livingston, for being a good sport and shooting some candid pictures of the event. 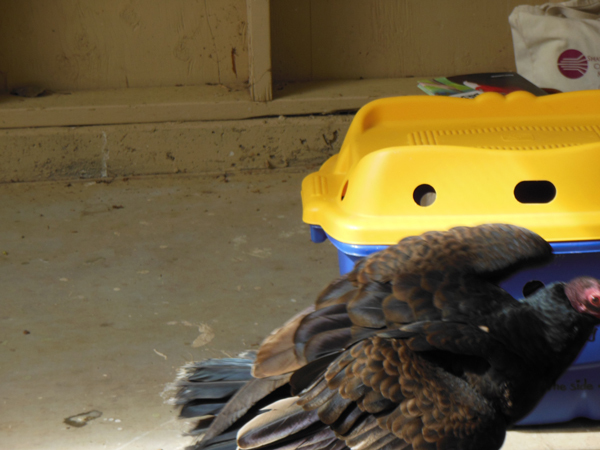 “Sunny,” a turkey vulture too injured to soar with his feathered kind, is a little camera shy. 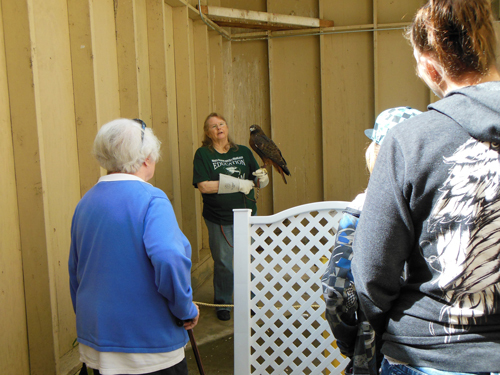 The care taker of an injured red-tailed hawk answers questions from the public. 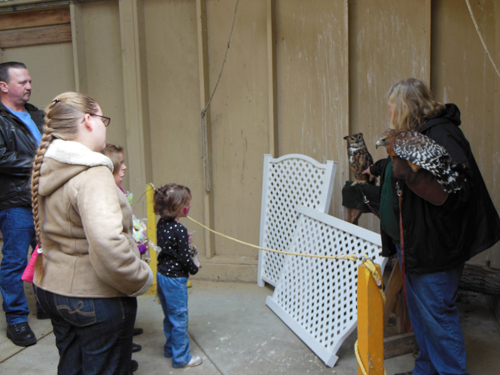 This child is very curios about the owl and red shouldered hawk. 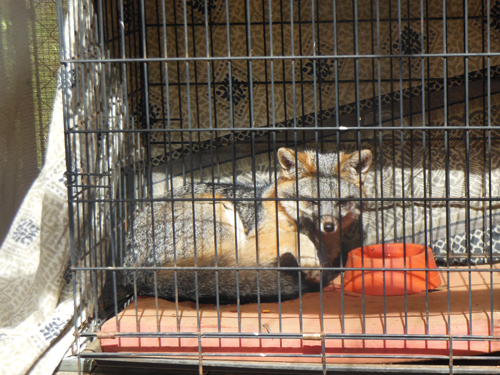 This gray fox was kit-napped as a baby. He is too imprinted on people to live on his own in the wild. As sad, to often occurring situation. Face painting and other fun for the kids (small and tall). The RTP booth is in the back. 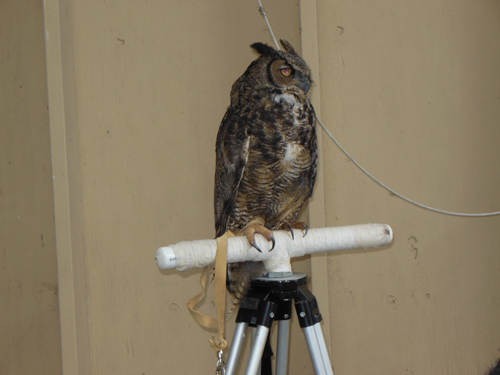 Each exhibit at the event provided valuable information about wildlife rescue. The Red-tailed hawk is the most common buteo (hawk) in North America. All of the care takers were happy to answer questions. 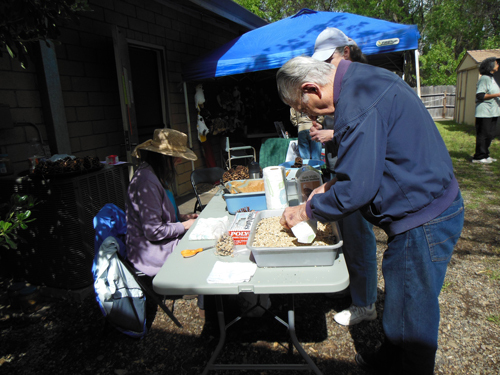 Another volunteer helped visitors make pine-cone bird feeders. 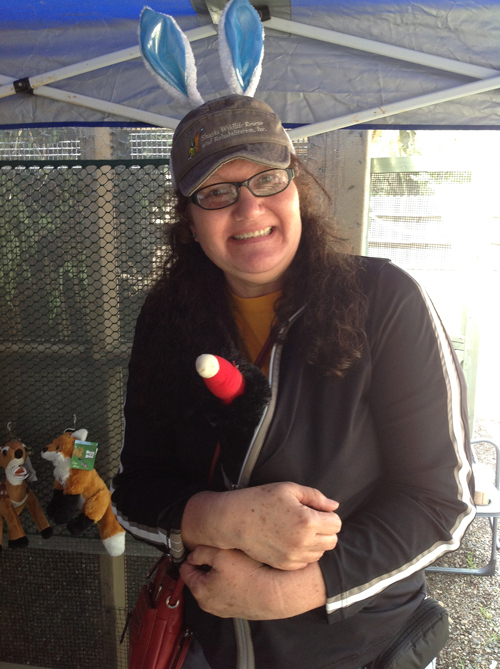 One of the volunteers, absolutely ecstatic to purchase a turkey vulture plush. 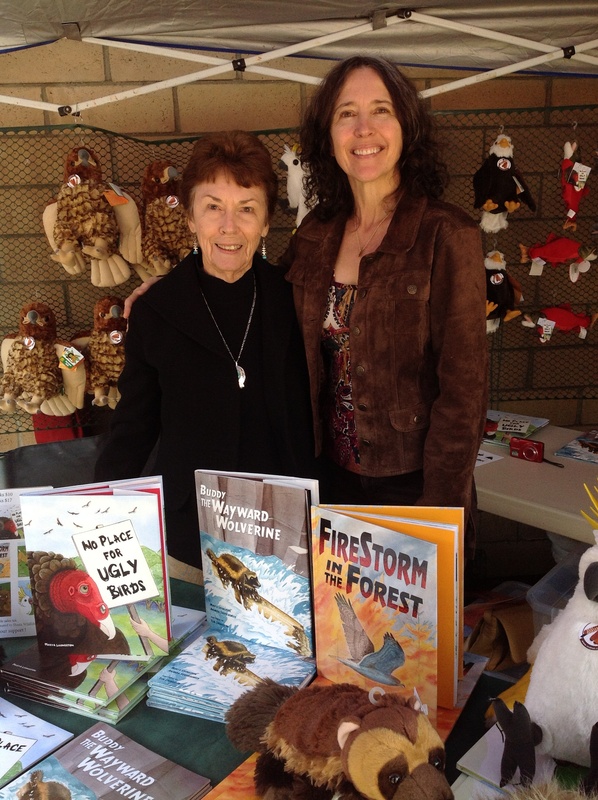 Usually other illustrators and authors of Red Tail Publishing books attend events. Due to unavoidable situations, I was the only one able to attend today. My MIL, Norma, was kind enough to join me. 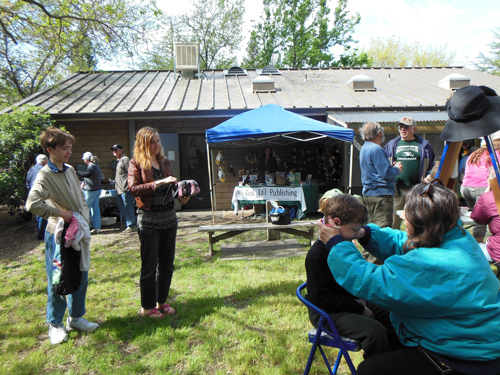 Great day today at the Shasta Wildlife Rescue fundraising event. 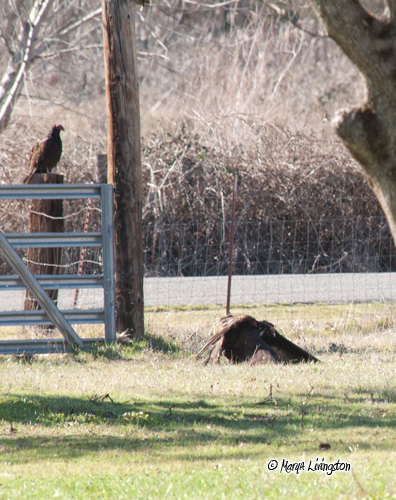 A pair of turkey vultures at the threshold of the nest cavity. 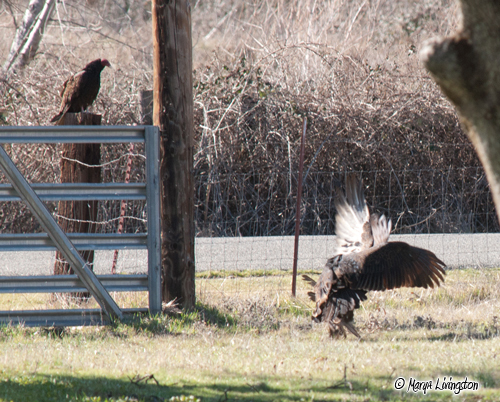 I can’t help but notice, a few followers have dropped off since I started the turkey vulture posts. 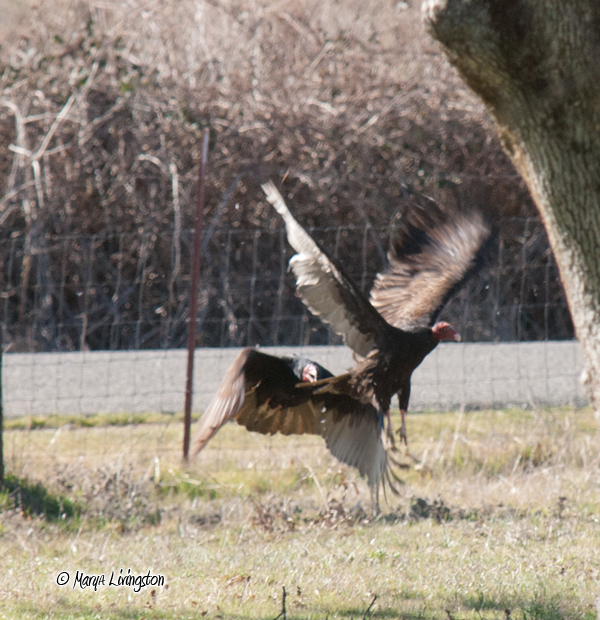 There is more to come, and on Friday, I will reveal why I have been stalking turkey vultures. In the meantime, I must get a better system for surveillance. 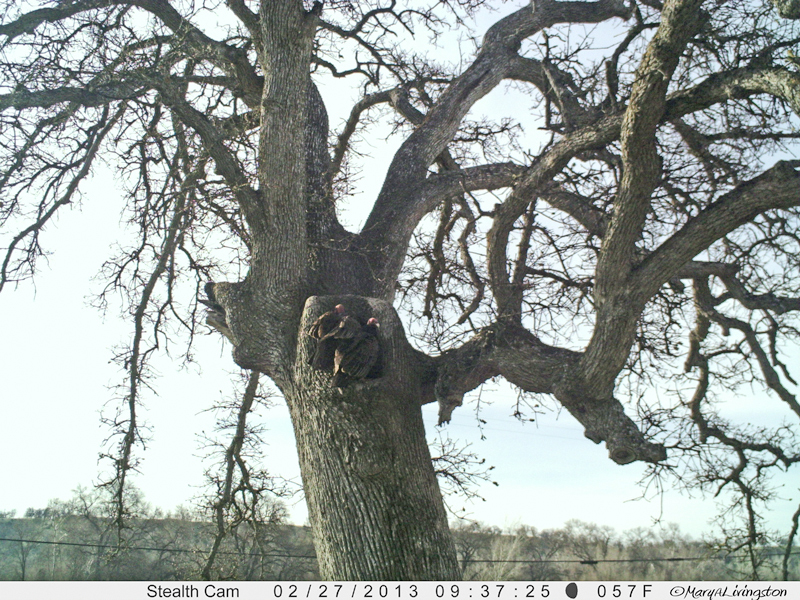 I mounted an old video surveillance camera to view the turkey vulture nest tree in our backyard. The video is bad at its best. As a backup, I mounted a wildlife cam on a ladder near the nest cavity. 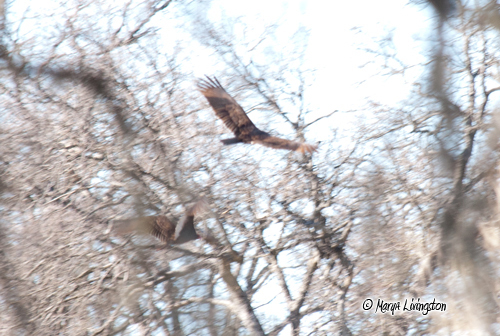 Today, the nesting pair gave quite the display. The footage is highly pixelated with poor image quality in general. I headed out to retrieve the SD card out of the wildlife cam, but it was knocked askew sometime before the mating. Any suggestions are welcome for a product that will allow us all to view this pair. They should start incubating eggs soon. Typically, their chicks start to fledge mid June around our area. I know, I know, somewhere in here is bliss, but who can find it amongst the low res pixilation? I thought about not posting this video, but figured some of you reading this post might have some suggestions. Here is the video, great content, lousy quality. The signs of autumn are slowly appearing in the Battle Creek basin. Last week bid farewell the triple digit heat with a final day of 103F (39.4C) on Monday, October 1. This week opened with a high of 80F(26.6C). The temperature drop and shorter days nudge a color shift in the trees. 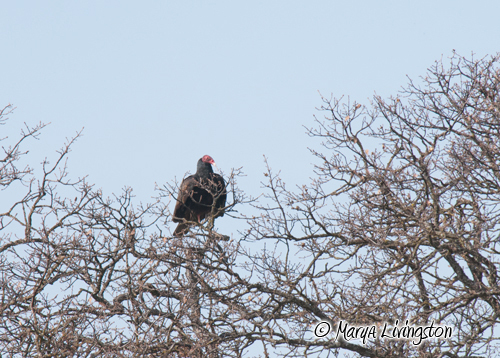 Kettles of turkey vultures fill the sky. 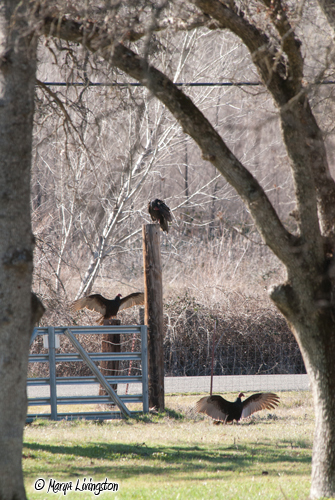 Here along the creek we have vultures year round. They even nest in our backyard. This time of year their numbers increase in the sky as they circle higher and higher on thermals. Vultures gather here for a reason. 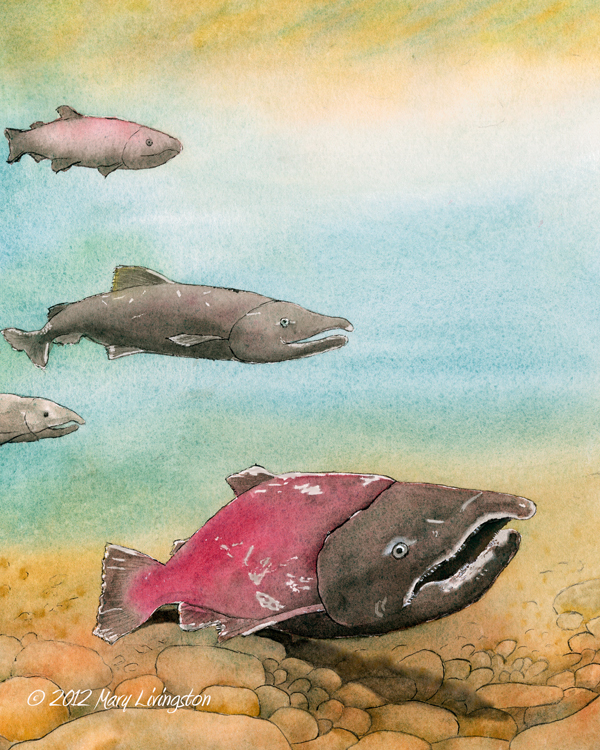 The fall run of Chinook salmon is underway. Reviled creatures, most people consider these carrion feeders gross and ugly. 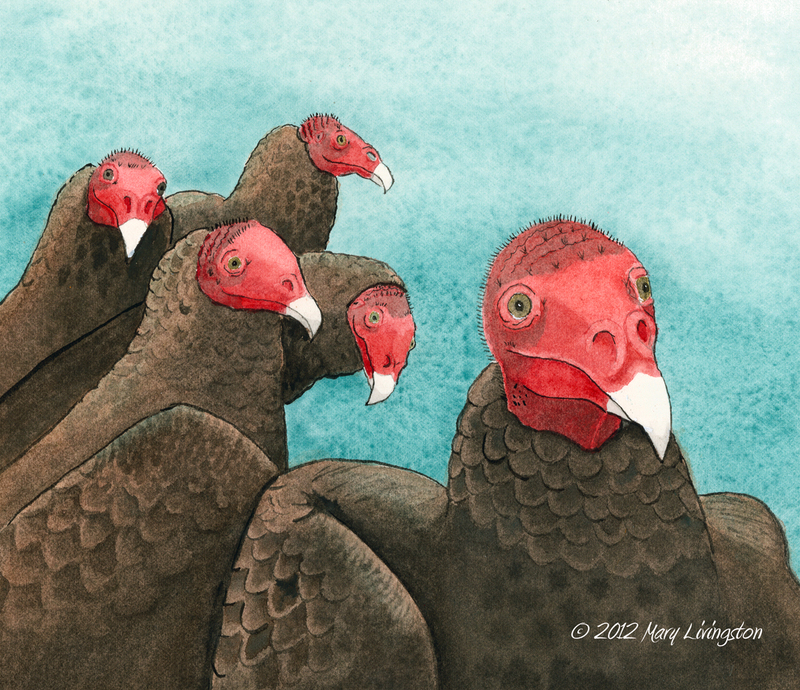 If you have ever smelled rotting salmon from the spawn, you may consider these turkey vultures the most beautiful of all. We welcome their presence to keep our little valley clean.